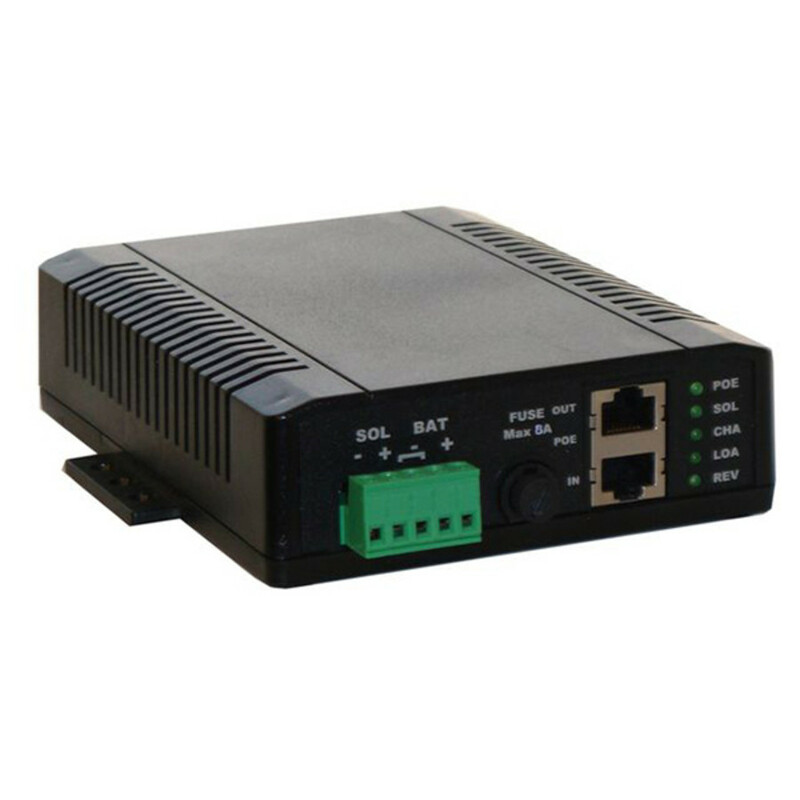 Tycon Power Systems unique POE/Solar charge controllers with built-in POE Inserter have dual inputs to charge batteries from a POE source and also a secondary source like solar panels in order to provide redundancy and insure 100% uptime for critical applications. The solar panel takes priority so that when the sun is shining the grid power usage is minimized. 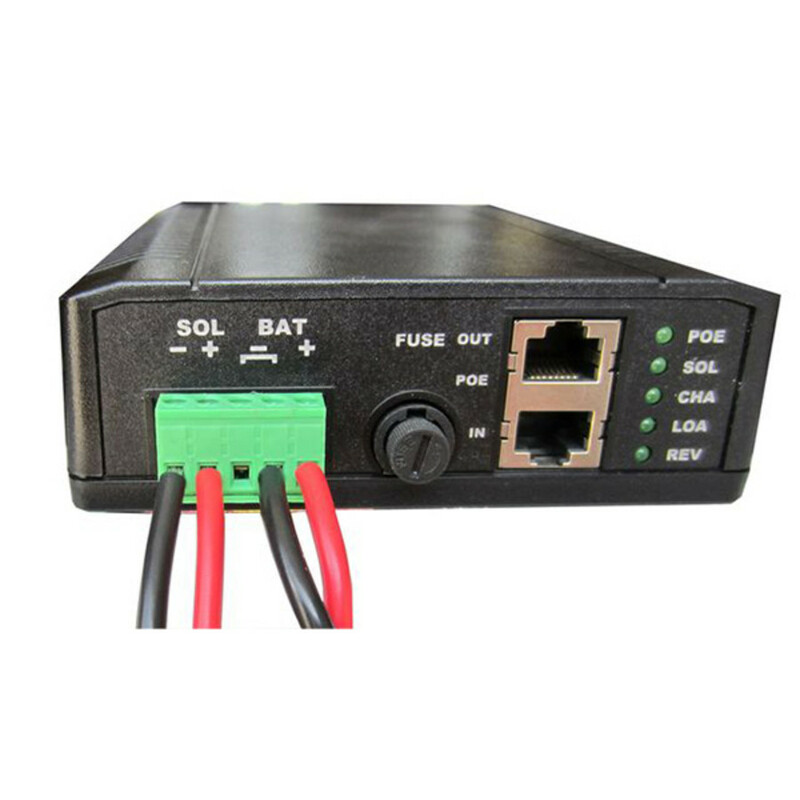 They have a built in POE inserters and the 12V battery model has integral DC to DC converter that delivers 12V, 18V, 24V or 48V at the POE port. They have full electronic protections for short circuit, reverse current, over-voltage, over-charge and over-discharge. They control the battery charging current to prevent battery damage from overcharging. The built-in over-discharge protection and low self consumption ensures the battery is not over-discharged, which greatly increases the life of the batteries. The load is turned off when 12V battery voltage reaches 11V and turns back on automatically when battery voltage reaches 12V. Likewise on a 24V battery system the 24V model turns off the load at 20V and back on at 22V battery voltage. 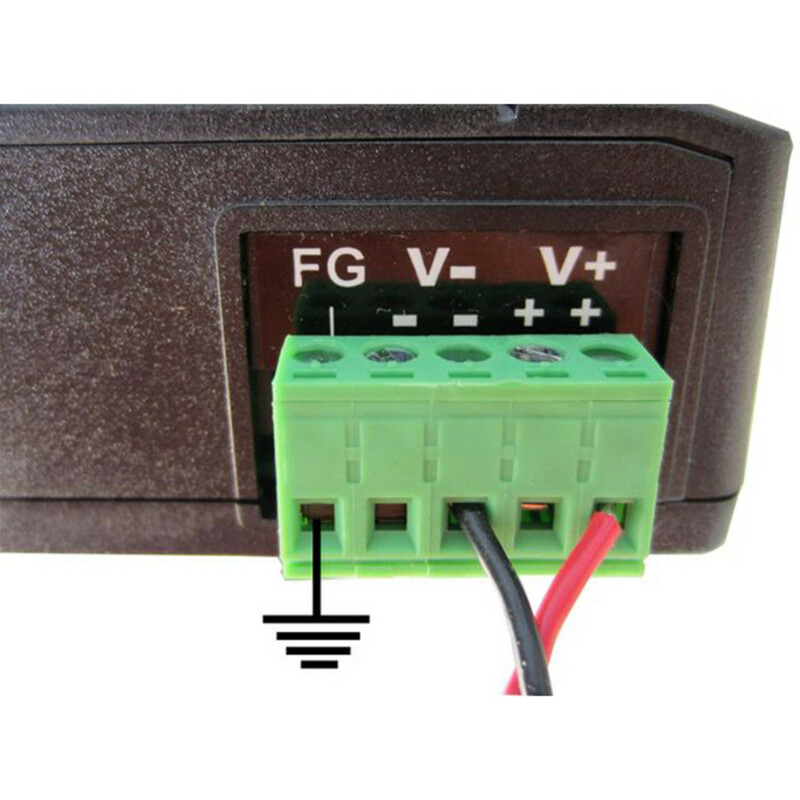 Solar and Battery Connections are via 4 screw terminals for wire size up to 12AWG. POE Input and Output is via 2 RJ45 shielded connectors. There is a secondary voltage output connector on the back with 5 screw terminals for connecting other electronics to the controller using up to 12AWG wire. The controllers are externally fused with a standard replaceable fuse.